Leah Hamsho is the owner and operator of Bella Solé Studio. Bella Solé is Asheville’s premier airbrush tanning studio, giving you a beautiful, healthy glow without exposure to the sun’s ultraviolet rays that cause skin damage, pre-mature aging and even cancer. Our commitment to health fuels everything we do, including choosing and constantly reviewing the products we use and sell at our studio. For sunless tanning, we use only Infinity Sun’s organic tanning solution which contains anti-oxidants and pure botanicals to deliver glowing bronzed skin. This solution contains all natural ingredients, no propellants or alcohol, and is paraben-free and cruelty-free. The result is a healthy, radiant tan that lasts and is attained without stepping into the sun. Leah’s focus at the studio is on providing exemplary customer service and doing everything to make sure her clients feel as comfortable as possible. She is passionate about health and how beauty plays a role in that. 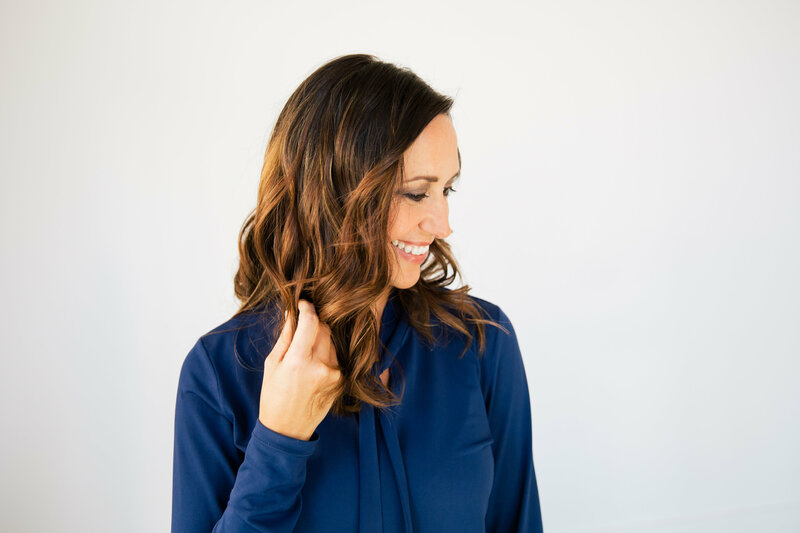 Whether it’s curating the products used at Bella or the ingredients in the food she feeds her family, she’s drawn to gathering and sharing information that will work for others, especially busy women. Life balance for Leah means physical activity (running 5Ks, 10Ks, half and full marathons, for good causes), enjoying adventures outdoors with her husband and falling more in love with her exuberant, albeit toddling, son.